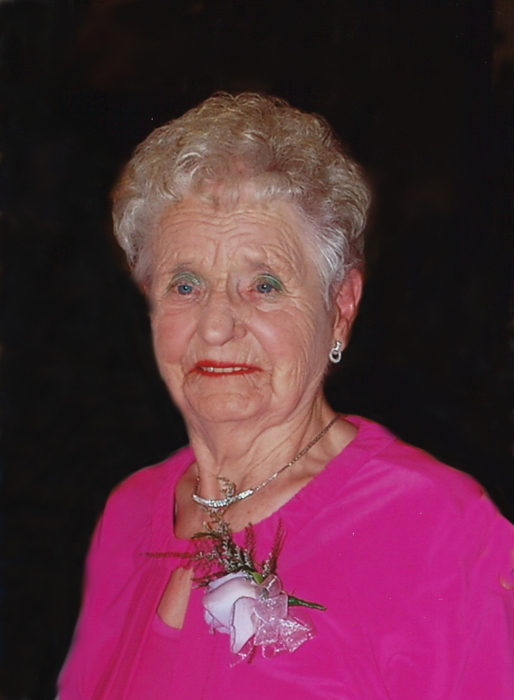 In Loving memory of Kay Phillips, formerly of Coleville, SK who died on Friday, January 18, 2019 at the age of 95 years. 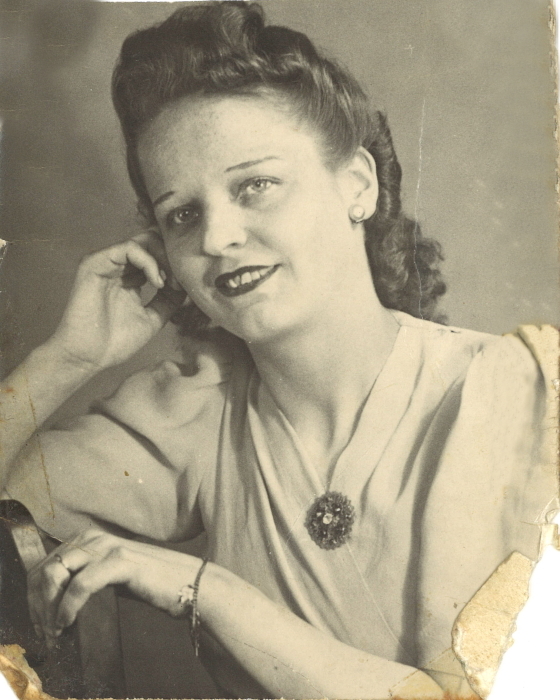 Beloved wife of the late Bud Phillips, and mother of Rick (Joanna) Phillips. There will be a graveside memorial service for Kay on Friday, January 25 at 11:30 am at the Kindersley Cemetery with The Rev. Piotr Strzelecki officiating. Following the service, there will be a funeral luncheon at 12:00 p.m. at the St. Paul's United Church Hall 502 Main Street, Kindersley. In Lieu of flowers, Kay would appreciate if you would take someone out for tea! Kathleen, better known as Kay, was born on March 6, 1923 to Alice and Thomas Ridley in Chaddesden, Derbyshire, England to a family with 7 girls. She learned early that the squeaky wheel got the grease. 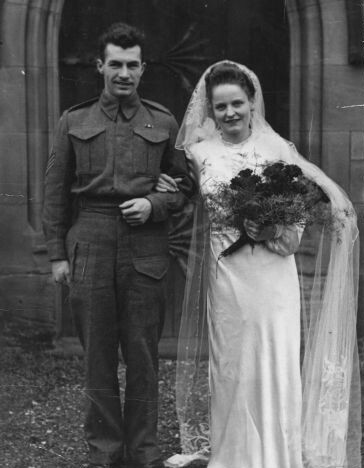 She married Albert (BUD) Thompson Phillips on Nov. 18, 1944 in Chaddesden and started her life in Canada when she sailed over in 1946 to Halifax along with hundreds of other war brides. She made a life with Bud in Coleville that included a passion for animals; walking dogs, feeding strays in her backyard (usually deer); that included volunteering, Coleville Brownies and the school reading program; and that included typical English pastimes like darts, tea, cream pastries and that TV staple, Coronation Street. She maintained her English ties by many trips home to Chaddesden. Of course, that life also included her love of socializing; coffee row in Coleville, her Thursday trips into Kindersley for her hair appointment, groceries and, most important, shopping with Paul. Rick remembers many house parties with friends over to play cards and play old time music with lots of dancing. Constant in Kay’s life was her dedication to the Royal Canadian Legion. Rick and Joanna found badges indicating her positions as President of the Coleville branch from 1960 -65 and as Secretary 1967-70, although some positions might have been missed. She volunteered endlessly at Legion functions and received her Legion Certificate of Merit from the Coleville branch in 1998, and her Lifetime Legion Member Award in 2013. She was extremely proud, although she probably wouldn’t have phrased it like that, attending national Legion functions with Bill Barclay when he was Dominion President. She met Governor General Adrian Clarkson when she and Bill attended an Ottawa Remembrance Day Service. As a war bride representative, she was also proud to have chatted with the Queen on her tour through Kindersley in 1987. Core to Kay’s life was her family; Bud, until he passed away in 1984 and their son Rick, who remembers chocolate cake in hockey dressing rooms during provincial play-offs when he scored. Also, her second family, the Barclays, with Bill until he passed away in 2002. She is survived by her son Rick, and Joanna Phillips; nephew, Barry and Judy Moore and their family, and many nieces and nephews in England. Special friends include Pauline and Lloyd (now deceased) Ament and their family; Bonnie Lapierre; Jimmy and Nancy Jin; and the Barclays, with Bill. Rick and Joanna would like to thank everyone who came to her service & luncheon; Reverend Piot Strzelecki; the women of the United Church for the wonderful luncheon provided; and Kindersley Funeral Home. Finally, Rick and Joanna would like to quote a stanza from Kay’s theme song; Frank Sinatra’s ‘My Way’. And that way is Kay to the T! Thank you from Kay’s family.